L to R: Joe Kanefield, Peter Gentala, Hon. Ruth McGregor (ret. ), and Mark Harrison. 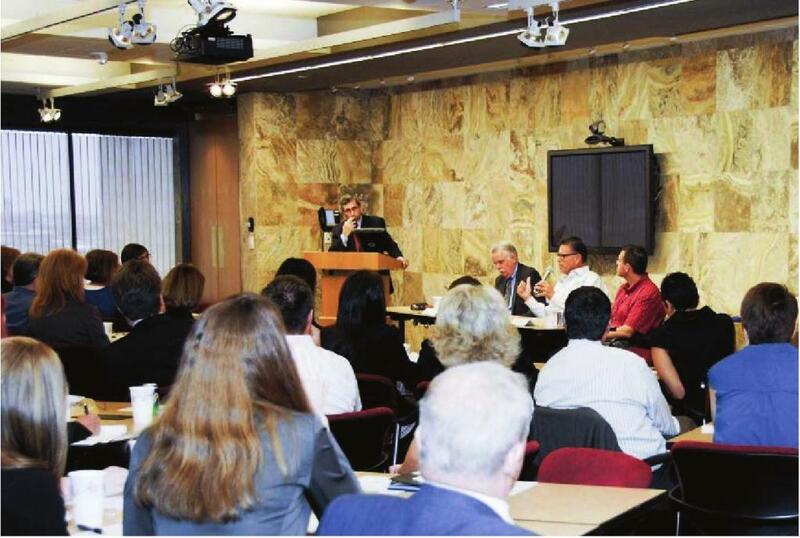 Well done to the panelists in Tuesday’s Maricopa County Bar Association discussion of Proposition 115, this fall’s ballot issue that would alter the way we select and retain some state court judges. Each side did their best to describe the merits of their position—as well as the one-hour format would allow. 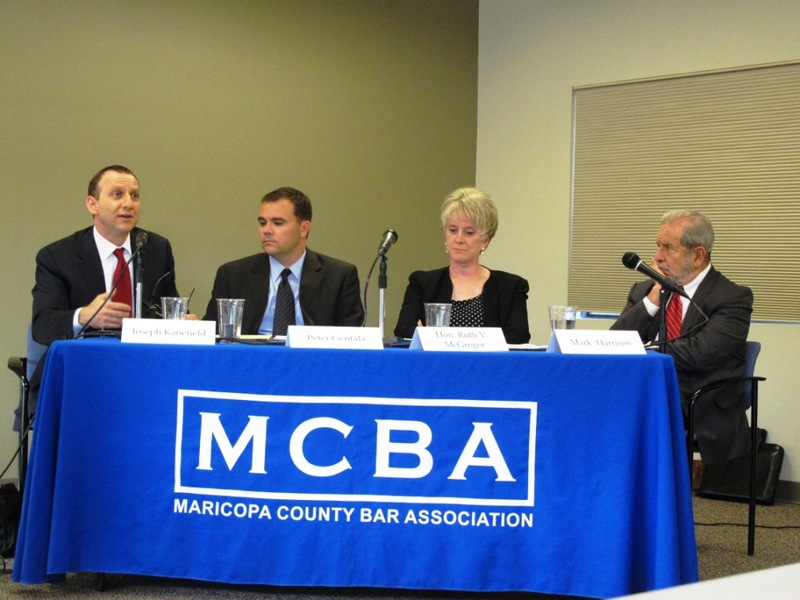 The panel, moderated by Michael Grant (of Gallagher & Kennedy), was: former Arizona Chief Justice Ruth McGregor; Osborn Maledon attorney (and former State Bar President) Mark Harrison; Peter Gentala, counsel to the majority, Arizona House of Representatives; and Ballard Spahr lawyer (and immediate past president of the State Bar) Joe Kanefield. More photos are at the Arizona Attorney Magazine Facebook page. The sponsor is the Southwest chapter of the Legal Marketing Association. I had the opportunity to play the moderator role last year, and I’m looking forward to doing it again. This year, the LMA has invited four in-house counsel. They come from a variety of public and private companies. As I’ve pointed out before, what is on the minds of general counsel is very much of interest to Arizona Attorney readers. Right after lawyer discipline and what judges are thinking, the decision-making by general counsel is a prime topic of interest. And no wonder: Companies purchase a huge amount of legal services every year, and the General Counsel is the one who picks the outside lawyer and firm to get the work. But as I prepare for Wednesday’s event, I have a question for you: If I were only able to ask the panelists ONE question, what should it be? Last year I asked the same question in advance of the event and was pleased at the responses. Post your suggestion below, or send me a note at arizona.attorney@azbar.org. 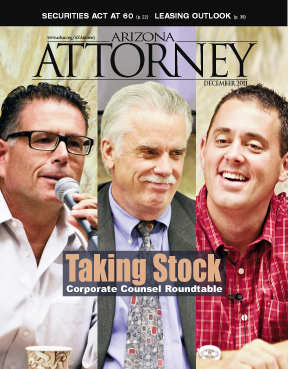 In case you missed it, here is our roundtable discussion from the 2011 panel, as it appeared in Arizona Attorney. And if you haven’t registered yet, here is a link to Wednesday’s event. 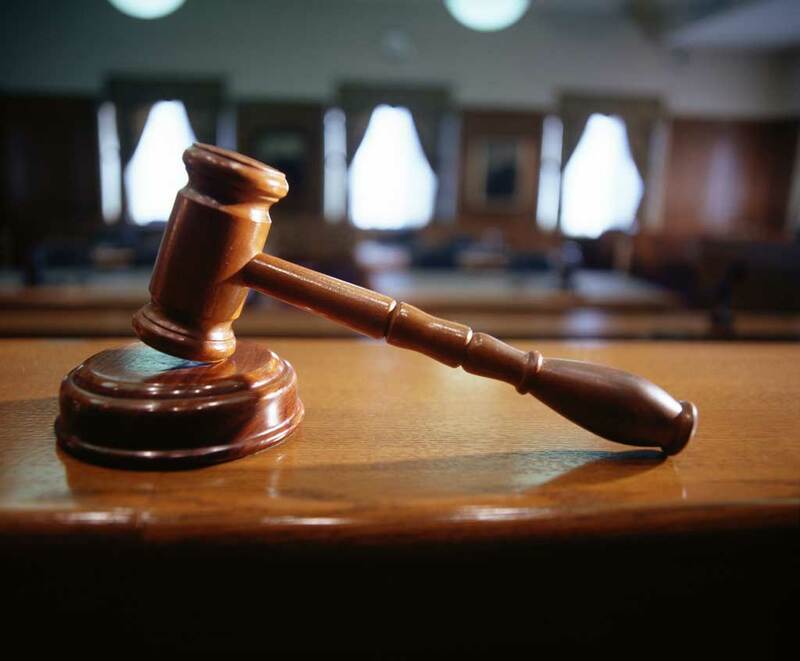 Proposition 115 is on the November ballot in Arizona, and its passage would lead to changes in the way we select certain judges (appellate court judges and superior court judges in Maricopa, Pima and Pinal counties). This past month, State Bar CEO John Phelps co-wrote an article in Arizona Attorney that described the history of merit selection. The authors also explored what would change under the new law. As John pointed out, there is a wide variety of opinion among the state’s lawyers and judges over the wisdom of passing Prop 115. The State Bar is supporting its passage and has written a ballot-pamphlet statement on its behalf. An event tomorrow night may allow you to hear both sides state their cases. The Maricopa County Bar Association (which wrote an “Against” statement in the voter pamphlet) is hosting a forum on the topic. It will be held at their offices at 303 E. Palm Lane in Phoenix, from 4:30 to 5:30. Admission is free, but they’ve asked people to register their attendance with bboehlke@maricopabar.org. I may see you there. I just finished reading a book review sent to me by a great Arizona lawyer. And I was pleased to discover that it was a terrific read and on a topic that fits Arizona Attorney Magazine. We’ll run it in an upcoming issue. And that reminded me about how much I like book reviews—when they are executed well. Here is another review in the September issue of the magazine. It’s written by Judge George Anagnost, a frequent contributor. It tells its own story; it is not a forced march, chapter by chapter, through the volume. It evinces an understanding that a book review is still a magazine article, which needs somewhat of a narrative arc. It contains an author’s voice, rather than relying on the importance or prestige of the subject-book. 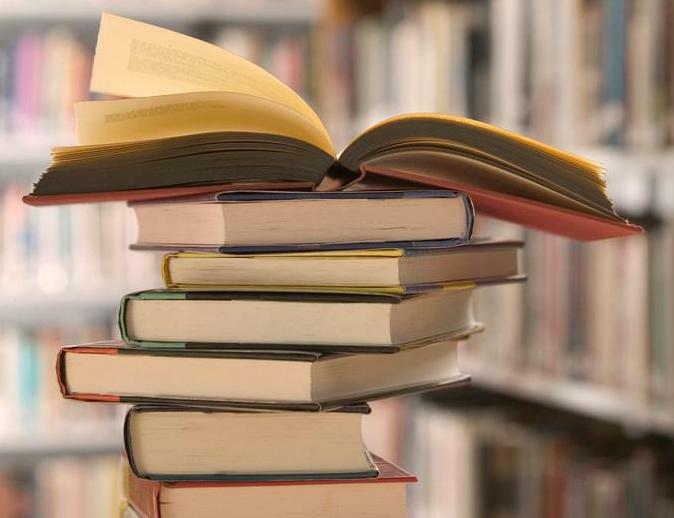 It reviews a recent book, rather than waits until the book is old and stale. It is written well and in a tone that matches the volume reviewed, rather than sounding like a high school book report (no offense to my high school readers). It is not a review of a textbook, or of a practice-specific volume, which would better serve a subset of Bar members. It’s brief—or at least brief-ish. The New York Review of Books we ain’t, so a book review for us has to be a delightful break rather than a full-fledged escape. Aim for 700 to 1,200 words. Readers and I will thank you. But any review, even a treatment of history, that doesn’t touch on the modern day, or that doesn’t “reach” readers in a deeper way, will not make it into print—at least, not at Arizona Attorney. Instead, those authors get a polite “decline to publish” letter. 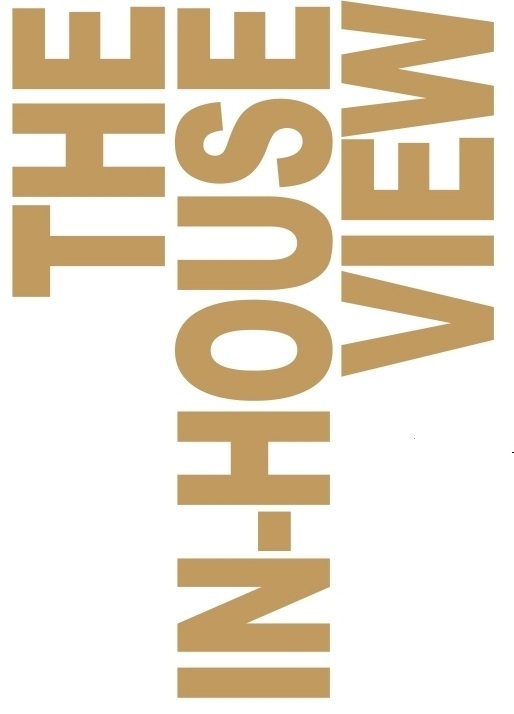 Do you have your own ideas for books to review? Contact me anytime at arizona.attorney@azbar.org. 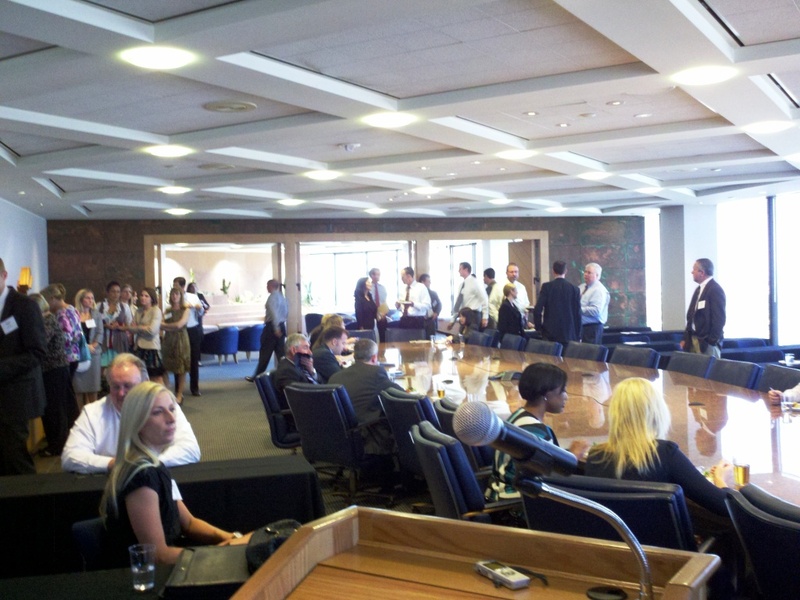 I wrote last year about a State Bar of Arizona mentor networking event that kicked off a year of those bad boys. Since then, I’ve tried to spill some ink in the effort to announce these events. But I have some fondness for this original Mentor Committee effort, which was a leader in what turned out to be a successful endeavor. Here is the news about tonight’s event. Stop by the Sheraton in downtown Phoenix and chat with your fellows. 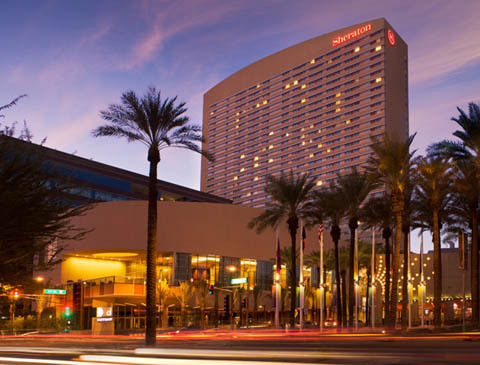 Where: District American Kitchen and Wine Bar at the Sheraton Phoenix Downtown Hotel, 320 N. 3rd St, Phoenix, AZ 85004 (Northwest corner of Van Buren & North 3rd Street). Co-Sponsoring Organizations: State Bar of Arizona Mentor Committee, Young Lawyers Division, Sole Practitioner and Small Firm Section, Tax Law Section, Public Lawyer’s Section, and Committee on Minorities and Women in the Law.